Now we are going to discus about how convert a project that created in maven to eclipse project.maven have a modular architecture along with a lot of plugins ,Eclipse is one of the most famous IDE that also have modular architecture it have a lot of plugins . Maven have a Eclipse plugin and Eclipse have a Maven plugin we are going to discus those things.when we using maven with those command line stuffs and etc when we are going through eclipse we don't want to that command line codes it have very much helpful, Maven and eclipse giving good integration ,they will work very well together thanks for that plugins . Note:- If you are running this first time it may take some downloads all require for resolving dependencies to convert project to eclipse project .
" .Our new java code is simple code for loading gmail messages using IMAP. Here using java imap extension to use inbox. Before you proceding this project make sure about your imap setting in Gmail. 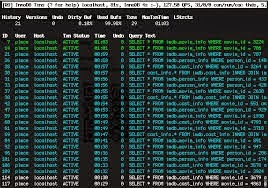 mtop (MySQL top) monitors a MySQL database showing the queries which are taking the most amount of time to complete. Features include 'zooming' in on a process to show the complete query and 'explaining' the query optimizer information. Innotop can be really handy when you need a quick and easy tool that can provide a lot of details on what MySQL is doing – without using difficult queries to get those details manually. For our Percona Support customers, using Innotop will often be much easier then running complex SHOW statements and filtering their output in order to get some simple facts like slave replication lag, number of busy threads or InnoDB history list length. Also for us, Support engineers, it’s sometimes quicker to get a fast system overview with Innotop before we do deeper investigation using SHOW statements, Information_schema or more complex ways. Behat is a framework for Behavior Driven Development (BDD) that is inspired by Cucumber. phpDox is the documentation generator for PHP projects. This includes, but is not limited to, API documentation. The goal of the Template for Jenkins Jobs for PHP Projects is to provide a standard template for Jenkins (the leading open-source continuous integration server) jobs for PHP projects. hhvm-wrapper is a convenience wrapper for HHVM's static analyzer, for instance. Node has a first-class HTTP server implementation in the form of a pseudo-class in http .Server, which descends from the TCP server pseudo-class in net.Server. This means that everything described in this chapter applies to the Node HTTP server as well. These are the steps for creating tcp chat server . in this project i am attaching a full set of working TCP server and TCP client with this post . Set up MySQL password is one of the important task ,Now i am showing you how set a password for your MySQL root account using command prompt . 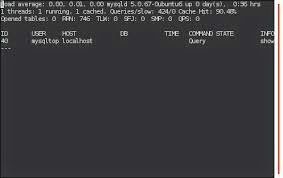 log in MySql from cmd. 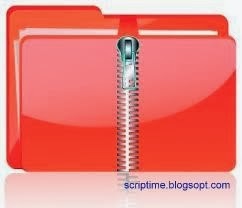 Hello friends now we are going to discus a small code for creating Zip file using PHP. Creating zip file is simple as comparing with author languages. Hello friends now we are going to discuss on Zend framework, it also known as zf. This is a A to Z step by step articles on zend .this is first one so here cover on the following three basics. 1. What is a frame work and why they need? What is a frame work and why they need? 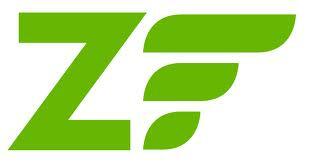 Zend Framework (ZF) is a framework for PHP 5 and it is based on object-oriented paradigm. 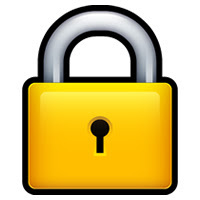 It is an open-source framework under the BSD License. The idea of ZF was conceptualized in the early 2005, and it was publicly announced in October 2005 at the first Zend Conference. Like other PHP stack zend provides a PHP stack called zend server and also zend provides a IDE for ZF. Zend framework of PHP is basically works on MVC architecture MVC stands for Model View and Controller. Now you want to go command prompt (WIN key + R=Run, Window=> type cmd and press enter key). Type zf show version and press enter, it should display like this. .Here we are using XAMPP so we used root folder as htdocs. After executing above comments directory structure will like blow figure. In the next applications we will learn a how connect DB using Zend. plz read some other articles and give some reviews about my personal programming blog. Hello friends now we are going to discuss about Java Data Base Connectivity. We heard connecting Java and DB are so difficult, etc. and blab bla bla …… :) We are going to show you much easy it is. Only want to follow some regular steps. JDBC is application programing interface .that allow programmers to access Data Base Systems from java code .it allows to execute SQL queries on java program.it helps programmers to connect, send receive data from DB. JDBC uses application programing technology for driver manager and Data Base specific drivers, for providing transparency and concurrency to heterogeneous Data Bases. Creating JDBC programs understanding its architecture make easier. When using JDBC we can follow following steps. Don't Forget To Comment ...! Embedding video to a webpage make a real change in the early day’s web. It can make a multimedia interaction with web user and author .so feel of that website become more realistic .most of users have broadband connection so they are flexible with video contents .one of the most common used method is using a flash player and flv videos those hosted in an external server ,like YouTube .